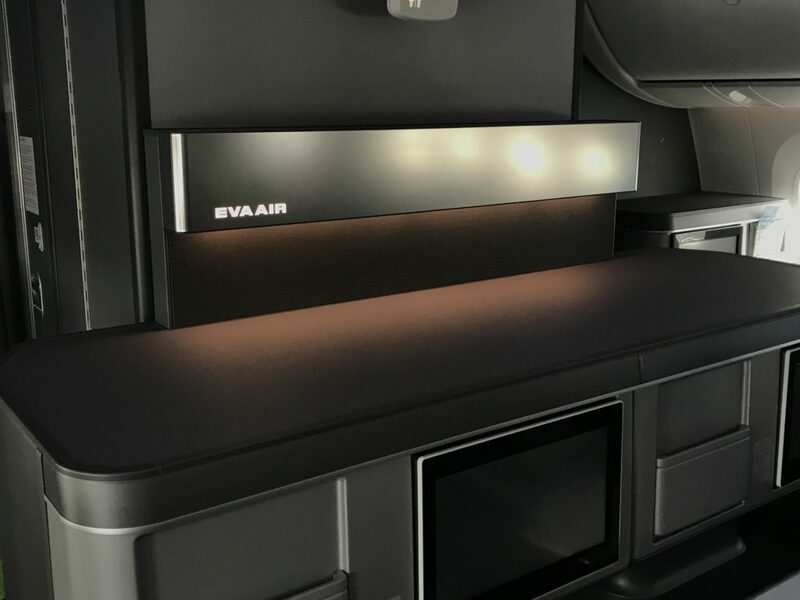 In an exciting part of its business class cabin upgrades, Taiwanese international airline, EVA Air, has taken delivery of a series of front-row monuments (FRMs). The monuments have been created by AIM Altitude in accordance with the business-class concept and design intent conceived by BMW’s Designworks studio and comprise three furniture units, each with its own worktop space and provision for IFE monitors, and an illuminated branding panel in the center unit. AIM Altitude is contracted to provide 24 ship-sets of the FRMs for EVA Air, over a period of four years. The FRMs have been designed to transition smoothly with the business-class seats, with lighting in all compartments and footwells. The outboard monuments each include a full-height closet for stowage of safety and crew items. The trim and finish experts at Designworks specified soft grey finishes, and a brushed-aluminum feature panel for the monuments, to give a contemporary and upscale look and feel. 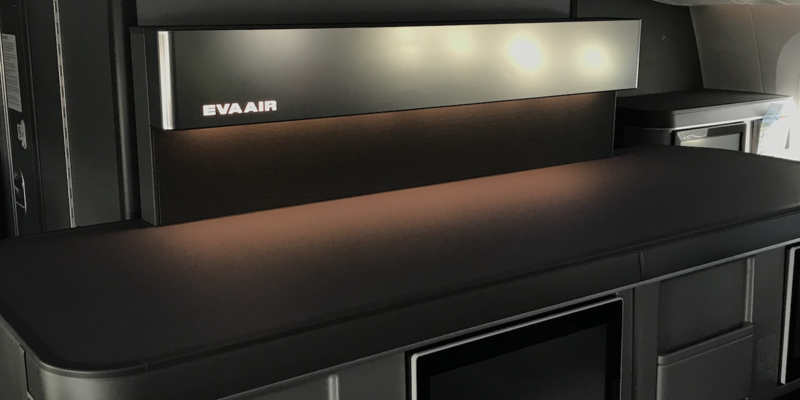 The EVA Air panel has an illuminated airline logo and wash-out lighting to subtly but effectively reinforce the brand.